Our careful approach to problem-solving along with our out-of-the-box thinking goes hand in hand with practical, hands-on analysis that gets to the heart of your core business issues. Based in South Africa, we are a digital marketing agency that serves clients across the globe. Open Circle Solutions was founded in 2008 by Anton Koekemoer, who saw the need for an agency that could deliver a comprehensive range of solutions to clients in a way that ensured realistic growth. Since then, we have continued to grow, expanding our services to give your clients even more value. 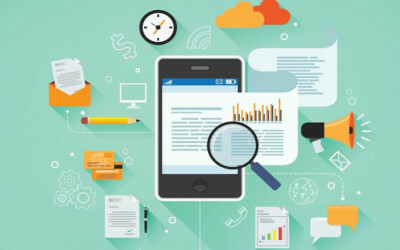 Whether you’re looking to grow your brand online, improve your email or mobile ROI, take your SEO to the next level, expand your social presence or enhance your business through a full digital strategy, our solutions are scalable, user-friendly, and designed to encourage organic, long-term growth. Simply put, we are a digital marketing agency that speaks your language and works with you each step of the way. We provide a full range of digital marketing solutions, from social media all the way through to lead generation, SEO, SEM, PPC, ecommerce marketing, content marketing, reputation management, mobile marketing, email marketing, CRM, and many other solutions that help you grow your business online. Thanks to our expertise in business strategy, usability, and design, along with our solid understanding of the constantly changing digital landscape, we provide a truly holistic approach. At Open Circle Solution, we’re passionate about user experience. We believe that true growth comes down to customer retention as well as acquisition and we know that cookie-cutter packages are not always the way to see authentic growth, year on year. Our careful approach to problem-solving along with our out-of-the-box thinking goes hand in hand with practical, hands-on analysis that gets to the heart of your core business issues. We work with private and public organisations of various sizes, across diverse industries. Our team is small, dedicated, and extremely good at what they do. Whatever your digital needs may be, we’re here to help. Get in touch with us today to find out more about how our digital marketing agency can take your results to the next level.